The wildly popular game's latest installment bears the hallmarks of a culture of defeat. What is the legacy of an Iliad-long war? Has it changed us? Call of Duty: Modern Warfare 3 is a wildly popular end-of-war game. Millions of copies were sold within hours of its November release, with Americans alone snapping up 9 million copies that month. The official trailer for its new expansion, Face Off, is worth one minute and 50 seconds of your time even if, like me, you are not a habitual gamer. It is a remarkable portrait of America's love affair with war, and a deeply troubling glimpse into how war changes national identity. A camera pans across a hilltop firebase as music plays that could be right out of an Ennio Morricone film. Hesco gabions are stacked so close that it's as if you could reach out and touch the wire mesh. Two men face off in full battle-harness where only digicam is standard issue. 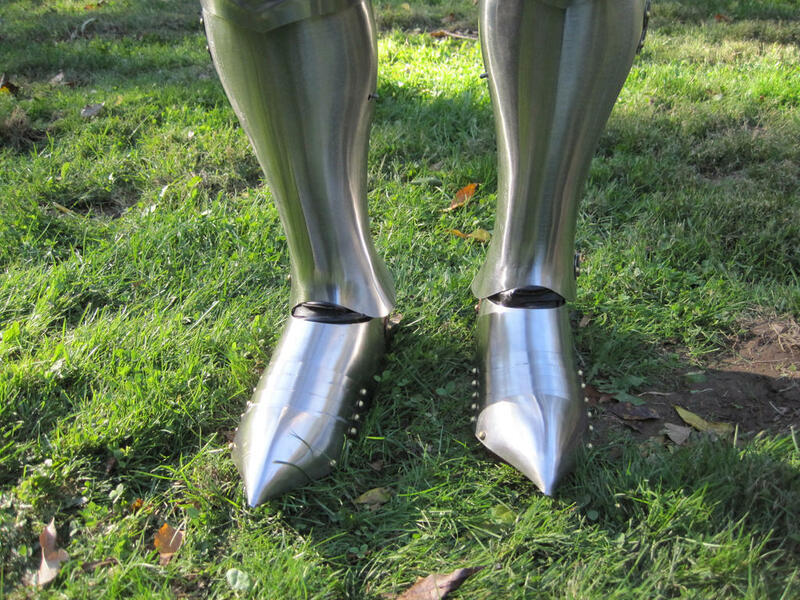 Their heavy gear is all medieval man-at-arms: pauldrons, cuisses, and greaves. One wears a gas mask, the other a hockey goalkeeper's mask. This is not combat but rather the warrior test of the duel. It is over in an instant. These are not American soldiers as we know them today, nor are they even like legionnaires of old. These are our All-American version of Ghazi warriors—in Arabic, "the makers of war." They are the imagined spiritual brothers of our presumed enemies, across the mountains and deserts and cities of the Dar al-Islam. Their faces are covered as an act of intimidation and a sign of divine righteousness. The reflector shades from the early stages of our adventure have been tossed away for the goalkeeper's mask of Jason. The weapons are as sacred as any ancient named blade, and the duel's winner (hero?) has chosen perhaps the most iconic American changeling for the sword: the barrel-ribbed, big-frame revolver. Yet Faceoff merely extends the overriding motif for all combat in Call of Duty MW3: War itself is back to the face-to-face of warrior-to-warrior. Even big battles here ignore U.S. infantry tactics and combined-arms doctrine. Just a handful of years ago, great game franchises had a far different function. In Halo, American space marines, "the armies of the West," fought for the fate of Earth. The enemy was inhuman, and thus good and evil were etched purely and plainly. The fight was for not just a nation but for all of mankind, just as it was in World War 2. The story was the same in the early war on terror too, and it echoed in the reigning film of the day, Lord of the Rings. So many soldiers I knew then played Halo religiously. Many still do. But things were changing. The new war was fought not by the people but by the state alone. Its battles soon were shown to be impure, and its warriors lost innocence in the eyes of the world. The wreckage of battle filled those eyes each day. The new war became old. What we feel in Call of Duty: Modern Warfare 3 is the result of that transformation, what Wolfgang Schivelbusch calls The Culture of Defeat. The surface story of what happens in defeat is easy. The big loser is stripped of its claim on military fashion. 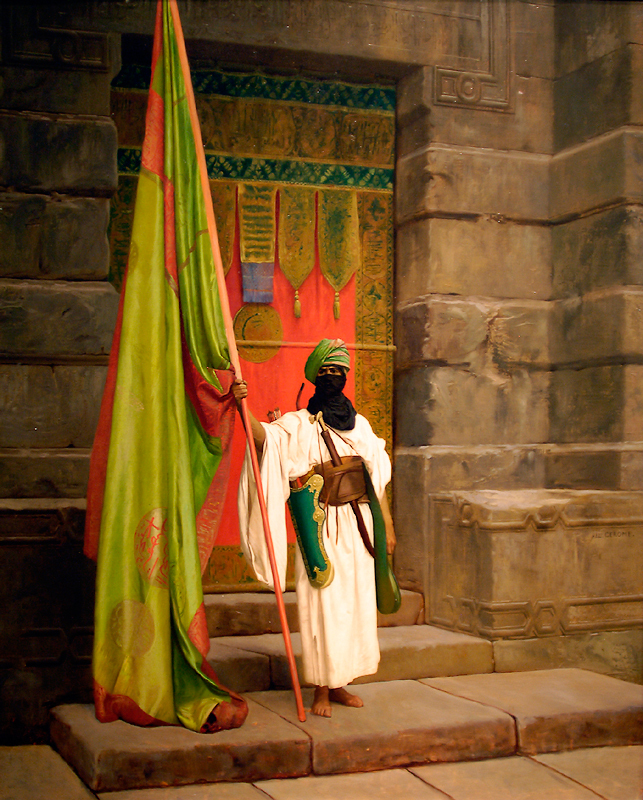 When North and South made war in 1861, they raised scores of Zouave regiments that paid homage to the oriental-garbed Muslim units of French colonial Algeria. But when France was defeated by Germany in 1871, the US Army threw away its képis and put on the Prussian pickelhaube. In MW3, we see the same sort of adoption of enemy fashion and battle style. It represents an acknowledgement—as it has since ancient times—that the enemy are now top warriors and own the future of war. 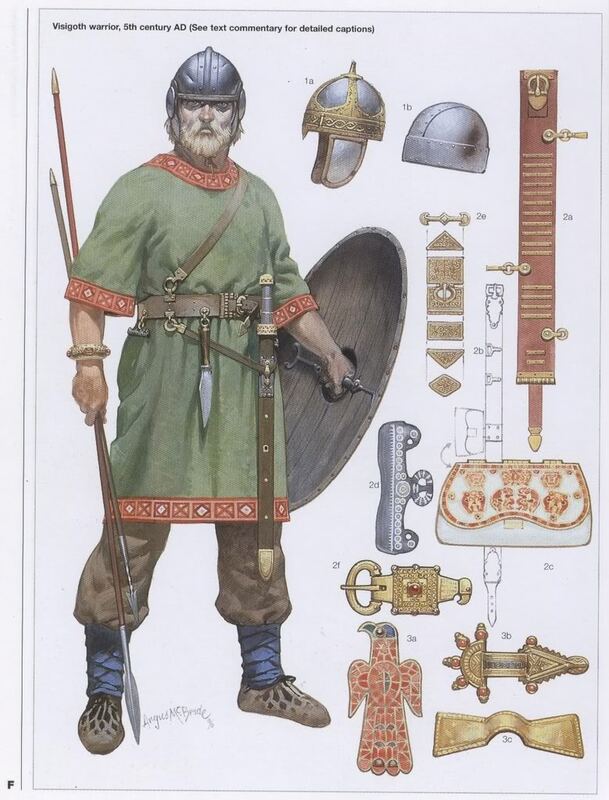 This is no different than Late Romans putting off their fabled lorica segmentata and putting down old gladius and scutum, and putting on Gothic trouser and spangenhelm and picking up long sword and round shield—Latin homage to Barbaricum. Today's gamers are not simply dressing up in cool fighting fashion. Rather, they are appropriating and internalizing the transcendental promise of a badder enemy other. Bravery, fearless risking of one's own life, is always inspiring. We too found ourselves picked up by this wild fury, and scrabbling around to grab a few hand grenades, rushed to form part of this berserker's progress. The decisive element and defining criterion of the front line was fire. By passing through it, the so-called generation of the front underwent its baptism, its salvation ritual, or, to use on of the more popular terms of nationalistic literature, its "purification" of the illusions, deformities, and pieties of prewar society. The very texture of MW3 gameplay seems to revel in ruin, lovingly defacing and tearing down the structures of modernity with every jerk of the trigger. Our great cities are torn apart with tall towers toppling like Troy's. In the Faceoff "launch trailer," there is a lavish shoot-out in a solemn Pompeian temple, beneath an angry Vesuvius. Yet astonishingly it is not an archaeological ruin but rather ancient-pristine, at least until our fighters scar and trash its frescoed walls. Such destruction is liberating, cathartic. As the game trailer declares: "The life we knew is gone: We fight to bring it back." Through destruction: Rebirth? Who could make a wasteland of our world? The wracking scale of the game is so mind-numbing that instead of a super-9/11, it suggests instead a sort of cultural inversion, our reimaging what the Muslim World itself faced with American invasion and occupation—and then making that narrative our own. Hence MW3 is no parable of "The Long War" where U.S. soldiers fight for freedom and democracy among the outcast margins of civilization. Instead this is battle to the death with the Mordor of our age, a terrorist coalition lead by Russians that have brought fire and sword to the peoples of the West. New York in ruins, Paris in ruins, Berlin in ruins—yet unlike the ring saga, as our fighters lay waste to endless infestation, they lay waste to our world as well. Like German Stoßtruppen remade in fire, our warrior-heroes find identity and realization in the firefight. Battle itself is meaning; battle is pure; battle becomes the only reality—and as it was for Junger, compared to the venality and corruption and aimlessness of modern life, its destruction is cleansing. MW3 reveals how this long war reaches back to seize us in ways we can only sense. A vision of primitive fulfillment in battle has claimed our young. Gamers are not conscious of this, of course. A flight attendant I talked to, an avid MW3 player in her 20s, has no political connection to the scenario. Neither do the 12-year olds I know who would play it 24/7 if parents obliged. They are connecting at the gut level. Yet it is there that allegiances are made. They do not want to be Muslim Ghazi, but they do want to be American Ghazi. They want to fight like Ghazi and if necessary, die like Ghazi. In their deepest dreams, think Beowulf. Think berserker. These dreams mean something. Something the Washington political realm might yet wish to see before it is too late. This world might wish to reflect on how a war fought solely by and for government and its military has placed our larger national identity at risk. In the original Call of Duty, players relived an American way of war now forgotten: where people and their government fought as one for sacred goals like freedom and democracy. MW3 shows us what the U.S. government's long war has brought: instead of straight-up defeat, a more corrosive loss of self. The views expressed above are those of the author and do not reflect the official policy or position of the Department of the Navy, Department of Defense, or the U.S. Government. Michael Vlahos is a professor in the Strategy and Policy Department at the U.S. Naval War College and an adjunct professor at Johns Hopkins' Zanvyl Krieger School of Arts and Sciences. He is the author of the forthcoming book, Counterterrorism, American Exceptionalism, and Retributive Justice.